Enghouse Interactive, a developer of contact center software, yesterday unveiled the latest versions of its five key business communications and customer interaction technologies, integegrating all of them into a unified product suite. These releases include new version of Enghouse Interactive's Contact Center: Enterprise (CCE); Communications Center (EICC); Contact Center: Service Provider (CCSP); Communications Portal (CP); and Quality Management Suite (QMS). Enghouse has more than a dozen products within its full portfolio, "but a lot of the primary products that we have for contact centers are going through new releases right now," says John Cray, vice president of product management at Enghouse Interactive. "And a big part of that is integration, integrating everything into a unified product suite." A central theme running through all the releases is the shift toward an omnichannel and unified framework, according to Cray. "For the customer, it's no longer about one type of communication. For the customer, it's about one experience, and so everything has to become more seamless," he says. Communications Portal 10, Enghouse Interactive's robust self-service platform, now provides call scripting and mobile and Web visual IVR menus. The product also allows re-use of existing IVR components and integrates to Enghouse Interactive's contact center technologies for interaction queuing and reporting if a mobile call, call back, or chat is required. Communications Center 2016 (EICC), which delivers customer interactions for a wide range of unified communications and and PBX environments, including the latest versions of Cisco, NEC, Avaya, and Skype for Business. EICC 2016 enables customers to shift from one channel to another. With significant new capabilities in its user interface, TouchPoint, this release also offers embedded agent quality evaluation scores and recordings, team and individual goal setting, and highly graphical views of key performance metrics within the contact center. Contact Center: Service Provider (CCSP) version 7.2, Enghouse Interactive's multitenant cloud contact center solution designed specifically for service providers, carriers, and operators, adds the TouchPoint admin module, allowing service providers and tenant administrators to customize clients per tenant or within tenant groups. New gadgets and specific integrations can be established. CCSP 7.2 also adds a Skype for Business connector, which provides status synchronization and enables agents to see all Skype for Business contacts with their presence information directly in TouchPoint dialing lists. This functionality empowers agents to call or transfer calls to Skype for Business contacts. 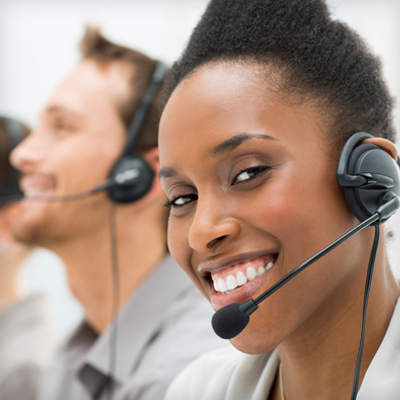 Contact Center: Enterprise (CCE 2016), a contact center solution built for larger customer service environments, assists the agent with multilanguage spell checking in email, Web chat conferencing, hierarchical wrap-up codes with scheduled follow-ups, blended agent predictive dialing, and automated proactive notifications through email or SMS text. Quality Management Suite 2016 (QMS) is Enghouse Interactive's recording, evaluation, and quality analytics solution. The QMS 2016 release allows contact center managers to perform searches and reports based on any contact center data, including wrap-ups and customer-specific information. QMS 2016's framework introduces new options for redundancy across servers and networks and supports new endpoints for recording and screen capture, including Cisco Jabber, and VDI-enabled desktops leveraging Citrix or Terminal Services. Also, the entire portfolio has been redesigned to addresses market demands for lower total cost of ownership (TCO) and optimizing efficiency while at the same time improving the quality and value of each interaction for the customer, according to Cray. Another change to the products is more of a focus on visual metrics, Cray says. With many of the upgraded products, users "can see easily and in real time when something is happening. They see it flashing on the screen in front of them and can take immediate action." Increasingly, that requires companies to move to an omnichannel environment, involving not just desktop screens but mobile screens as well, Cray says. "The world is moving away from voice-only communications," he says. "The PBX market is in sharp decline worldwide. Now everyone is focusing on unified communications in this increasingly mobile world." Millennials are largely driving this trend, Cray adds. "As the millennials enter the workplace, they expect unified communications to be the way the world communicates with them," he says. "So we had to renew our focus. All of our products need to focus on that, but they still can't lose sight of the need for quality and a lower TCO."